November 2018 - All Used Book prices have been greatly reduced, pending close-out. Use tabs, above. Sorry, we are only shipping inside the United States, now. 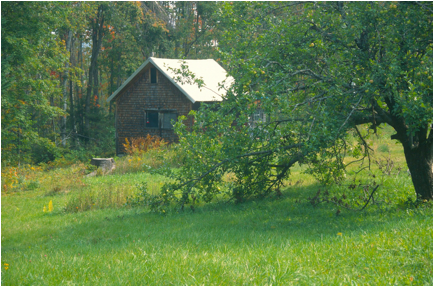 FROM THE PREFACE: "'Camp' is a tract of land with a cabin on it, set at the end of a dirt track deep in the northern New Hampshire woods. From 1947 to 2009, it was the part-time home of, first, the Harrises - Sally's family - and, later, the Wilburs (us). We loved it, and being there - and anticipating being there, when we were elsewhere - became very important to us. "I won't describe Camp here; I'll just let the story unfold. Suffice it to say, by most 21st Century standards in the Lower 48 States, the living was "primitive." Over the years, we accumulated a lot of notes, photos, and personal memories about living at Camp. For the last 15 years of our stay, we kept a detailed daily journal, in which we recorded: weather data; lists of birds, mammals, reptiles and amphibians seen; when plants bloom, and where; how the bugs were (usually bad, if we took time to mention them); what we did that day; and - usually the highlight entries - "interesting events". Entries from the journal are used to start many of the following chapters. Sometimes, they say pretty much all I wanted to say, and stand as written. More often, you'll find I wander off on parallel tracks that compliment and/or expand on the original observations." "For thirty-five years, I worked in various aspects of wildlife conservation, mostly with the U. S. Fish and Wildlife Service. I began my career living and working on wildlife refuges in Nevada, Idaho, and California. 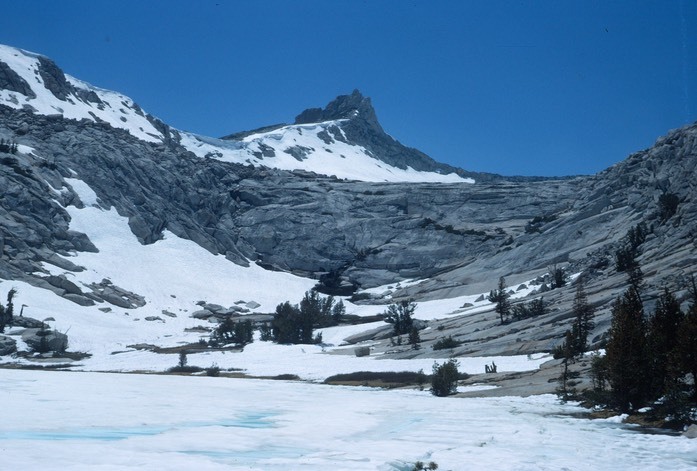 I next took a job in our Portland, Oregon, regional office, studying refuge areas for possible inclusion under the recently-passed Wilderness Act. I moved on to Atlanta, Georgia, where I served as advisor on biological issues on wildlife refuges in the South. A change of pace from management to research took me back to California, there to study the endangered California condor and other rare birds. Then it was on to Portland again, first to administer the endangered species program in the West, and then to supervise the operations of the national wildlife refuges in Oregon, Washington and Idaho. I had come full circle, with a number of interesting stops along the way. 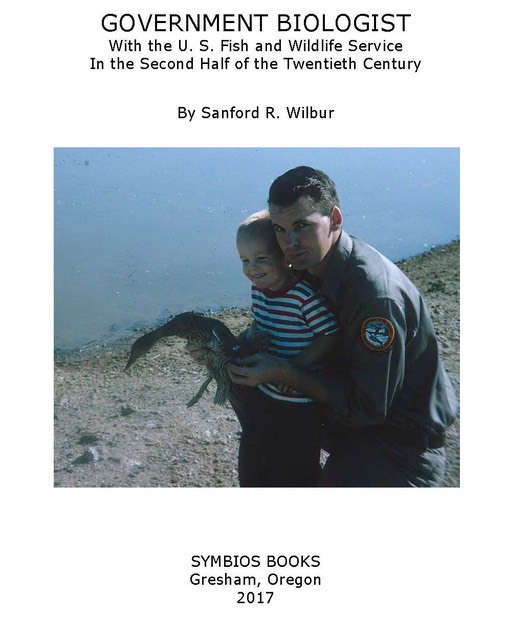 "This is a book of reminiscences and opinions - my attempt to describe what it was like to work for a Federal wildlife agency from the '60s into the '90s. It's a lot about wildlife, but also about working with people, and budgets, and politics. In other words, it's my personal "what happened" story, developed from my field notes, journals, and memory." The definitive history of humans and California condors, from the Pleistocene to the taking of the last wild condors into captivity in the 1980s. In addition to expanding on and correcting some of the information in "Condor Tales" (below), new insights are provided into such subjects as the role of Native Americans in condor survival; effects of strychnine, thallium, compound 1080, and lead poisoning; the importance of killing condors for their quills; the origins of the first condor specimen in a museum; and the relative importance to condor survival of sport shooting, hobby collecting, egg collecting, and acquiring specimens for museums. The technical data behind "Nine Feet" and "Condor Tales," including specific information on each of 479 condor mortalities, records of 80 condor eggs collected, and an annotated bibliography of nearly 2,000 published condor references. From 1969 to 1980, I was in charge of the efforts to save the endangered California condors. "Condor Tales" is my personal story of the fight to arrest and reverse a decline that had been going on since the Pleistocene. Based on intensive research, I give my explanation of what really happened to the condors. From my field notes and journals, I introduce the people who have fought for the condors, and describe the events and circumstances that led to the disasters of the 1980s and the successes of the 1990s. These are some "Condor Tales" you have never heard before. 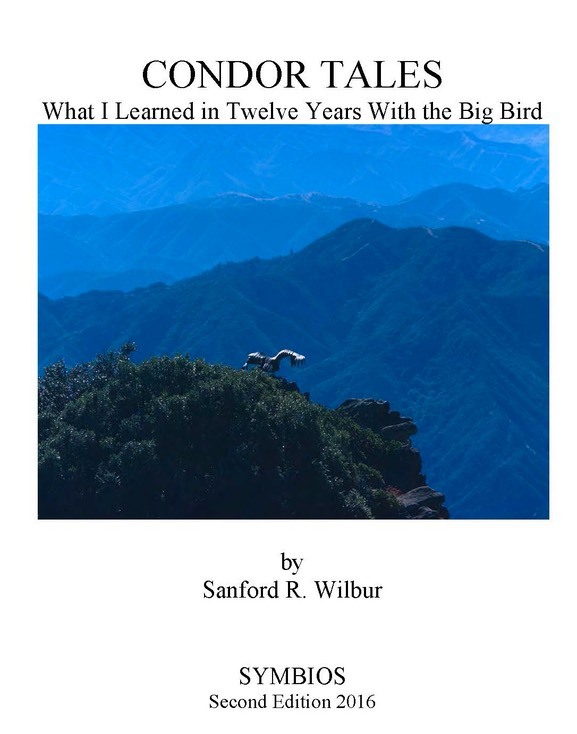 A lot has happened with the Condor Program - much of it good - since I wrote "Condor Tales." This new edition still "ends" in the early 1980s, and does not cover more recent developments. However, my research since 2004 has taught me quite a bit more about the history of the species than I knew then. Chapters One through Fifteen have been brought up to date, with corrections made and new information added. Much greater detail on the historical aspects of the California condor can be found in my 2012 book, "Nine Feet from Tip to Tip: the California Condor through History" (Gresham, Oregon: Symbios Books). 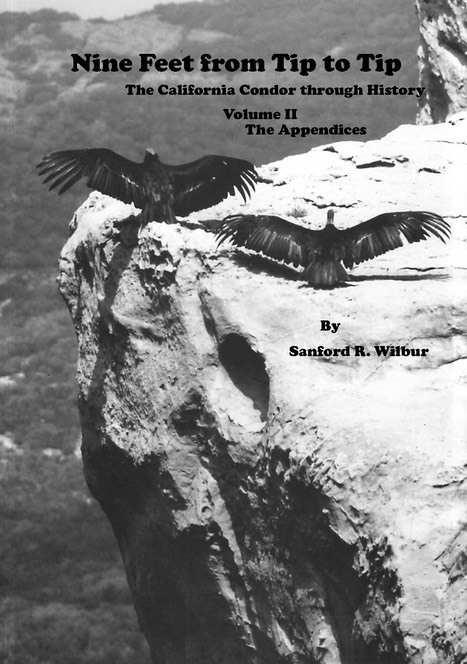 Because much of the book after Chapter Fifteen is my own, somewhat autobiographical, account of my years with the Condor Program, the only changes you will find from the First Edition are typographical and editorial. That part of the tale - both good and bad - remains the same. WILBUR, S. R., and S. H. WILBUR. 2000. 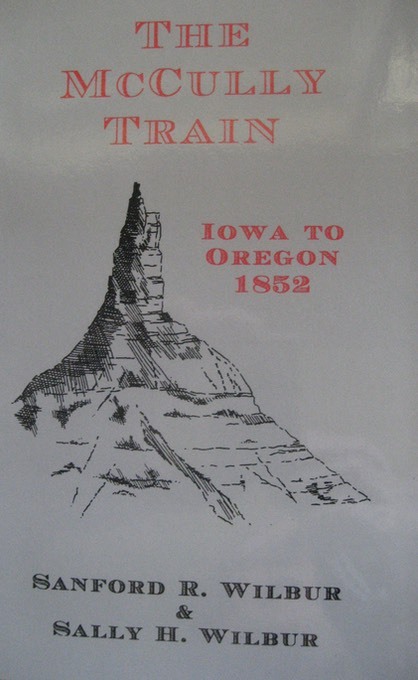 The McCully Train: Iowa to Oregon 1852. Gresham, OR: Symbios. Paper. 200 pages. ISBN 0-9651263-2-3. $5.00. Take part in the travels of one group of pioneers as their 1852 wagon train follows the Oregon Trail from Henry County, Iowa, to Oregon's Willamette Valley. Read the on-the-spot words of John S. McKiernan in his previously unpublished journal. Share reminiscences of a number of the travelers. Learn about the individual members of the party in biographical sketches compiled by the Wilburs. Complete your journey with a cross-referenced synopsis of the trip; explanatory footnotes; a full bibliography; and every-name indexes to people and places named in the text. Enjoy some of the trail landmarks in the original pen-and-ink drawings by Sara L. Ambarian. FROM THE INTRODUCTION: From Walter and Mary (Fry) Harris in 1637 to the present time, the United States have been home to more than ten generations of their Harris descendants. They were not the source of all the Harrises in the United States - far from it - and not all of the names have been Harris. Others are Alford, Calkins, Carpenter, Hall, Hovey, May, Morse, Purmort, Sheldon, Smith, and Walworth - just to name a few. Many remain in Connecticut and other New England states but, like most family lines, today you might find a "cousin" just about anywhere. In this genealogy, we begin full coverage with George Harris, a member of the fifth generation in the United States. Our reason for beginning there is mostly selfish: once we started, we wanted to do a full genealogy, tracing all the lines forward from one person. But we had other things we wanted to do with our lives besides Harris research, so we looked for a logical starting point. George was among the first of the Harrises to leave Connecticut - principal home of the clan since their arrival in America - to settle permanently somewhere else. 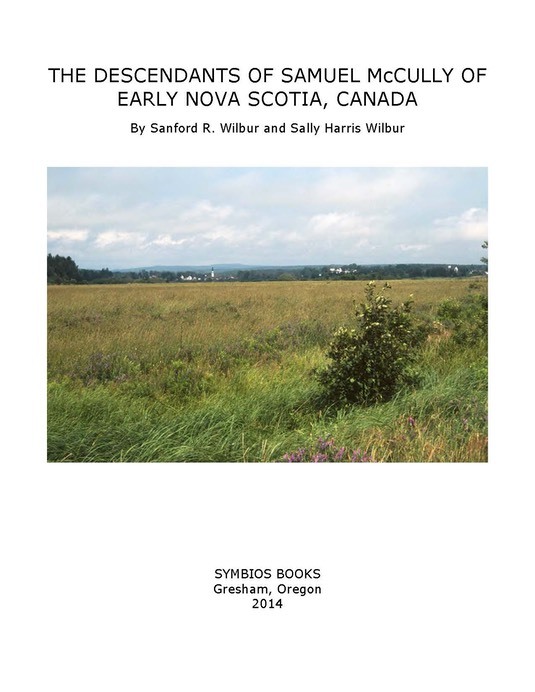 In his case, he took his family north up the Connecticut River into the wilds of New Hampshire, at that time little settled by Europeans. The family didn't completely sever ties with southern New England, but in general they settled new areas and moved in new directions compared to their southern relatives. We don't ignore the first generations; relying heavily on recent family Harris family work [Harris, G. I. 2002. Walter and Mary (Fry) Harris of New London, Connecticut. 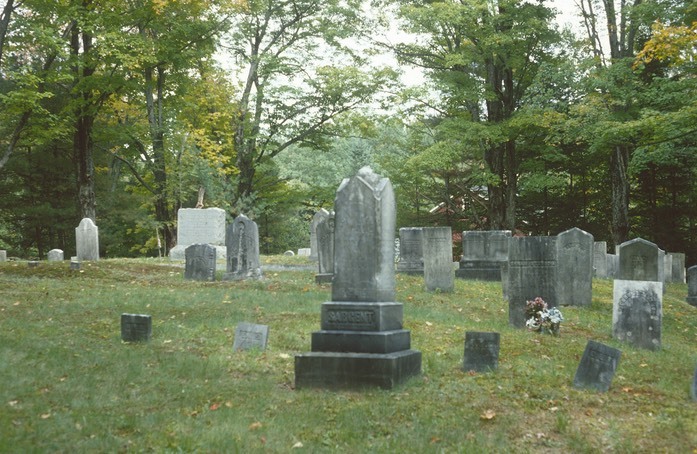 New England Historical and Genealogical Register 156(2):145-158, 156(3):262-279, and 156(4):357-372], we compiled what is known or suspected about the George Harris direct male line back to Walter, the first in the United States. From George on, we have followed all the lines, and have presented information on every descendant we could identify. Records of 349 descendants of Samuel McCully of Londonderry, Nova Scotia, first known of this line in North America (late 1700s). Prominent names: Coshow, Crane, Creighton, Gailey, Hendershott, Love, Lutes, Maxson, McCully, Read, Steeves, and Waters. Principal locations: Nova Scotia, New Brunswick and Alberta, Canada; Massachusetts, Ohio, Iowa, Oregon, Washington and California. Has 287 pages, illustrations, and extensive references and chapter notes. Note: The download takes about 2,200K space. 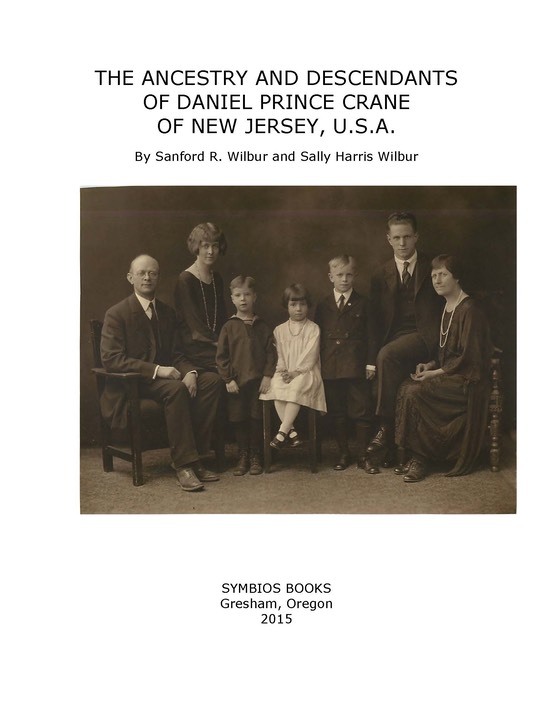 Records of 477 ancestors and descendants of Daniel Prince Crane (ca 1751-1815) of the State of New Jersey, U. S. A. Prominent names: Baldwin, Burpee, Crane, Evers, Hennion, Junkerman, Meeker, Schoonover, Smith, Ward and Wooldridge. Principal locations: New Jersey - Mobile, Alabama - Pittsburgh, Pennsylvania - Cincinnati, Ohio - Great Lakes states - and California. Has 263 pages, illustrations, and extensive references and chapter notes. Note: The download takes about 2,630K space. WILBUR, S. R. 1996. 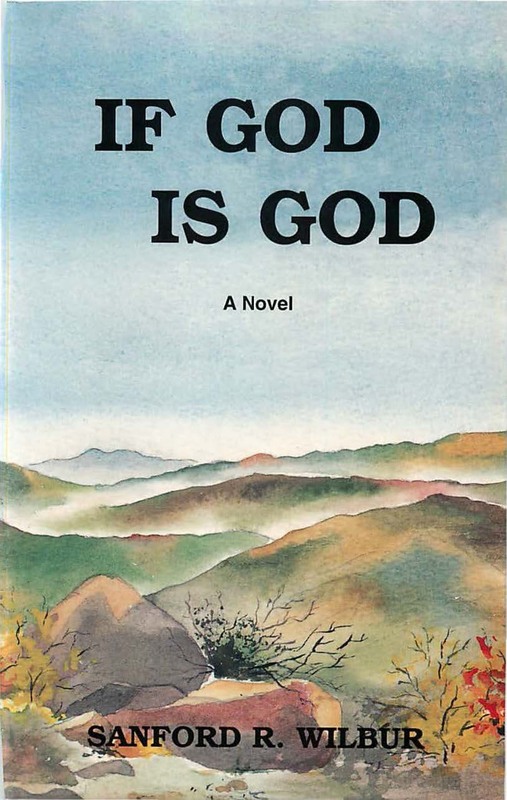 If God is God: A Novel. Gresham, OR: Symbios. Paper. 383 pages. ISBN 0-9651263-0-7. $3.50. Pastor Josh Felton decides to make some changes in his church, and unleases a storm that turns friend against friend, jeopardizes his marriage, and threatens his job. Find out what happens to one congregation when they look at church, family, war, abortion, personal relationships , and other topical subjects with this question in mind: What would Jesus do? We accept payment electronically through PayPal - Individual copies may be ordered with the "Buy Now" buttons, above; if you want to receive your order by U. S. Postal Service Media Mail ("book rate"), shipping cost is included in the "Buy Now" button. If you would like expedited service (e.g. Priority Mail), contact us and we will provide you with an invoice with the Priority Mail cost. If you are ordering two or more books that can be sent in the same package, we will reduce the shipping costs accordingly. Contact us and we will let you know the reduced cost. Sorry, we are only shipping inside the United States, now.